The San Sebastián Festival might be one of the most celebrated and crowded festivals on the entire island. 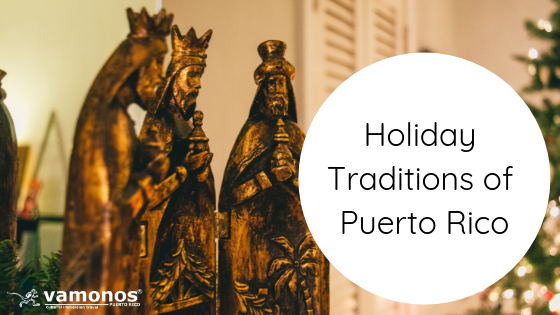 It takes place all over the old city (not just at Calle San Sebastián) on the second or third week of January every year. Approximately 500,000 people are present in this cultural event. It lasts four days from Thursday to Sunday. 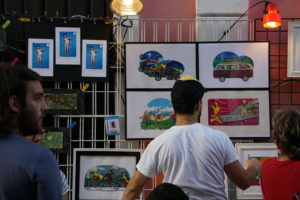 One of the richest aspects of the San Sebastián Festival is its unique collection of authentic Puerto Rican art sold by artists. People from all over the island flock to the city to find great bargains on authentic handmade arts and crafts. 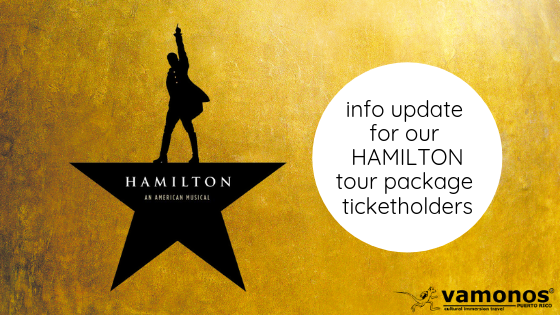 In addition to the cultural and artistic aspect of the festival, there are numerous family events, great food, and live shows in the evening. 2. Bring cash – During the San Sebastián Festival, many bars, local artisan shops, and food kiosks will take CASH ONLY. Expect to wait in line for many minutes if you attempt to withdraw money at an ATM. We strongly suggest you visit your local ATMs before coming to Old San Juan. Go during the day! This is the best time to see, purchase, eat, and enjoy the San Sebastián Festival without feeling claustrophobic, especially in Calle San Sebastián. Best times: between 9:00 AM and 6:00 PM. The party will finish at 12:00 am on Saturday and on Sunday at 10:00 pm. Only hotels are allowed to remain open. 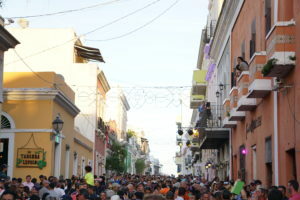 Many after-parties and activities are held later outside San Juan. 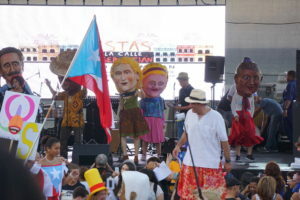 The San Sebastián Festival officially starts at 5:00 PM on the east side of Calle San Sebastián next to Abraham Lincoln Public School. 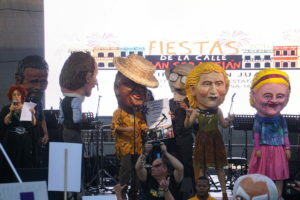 It starts with a concert and the “Cabezudos” (large iconic festival heads resembling well known local personalities related to the community of San Juan, Puerto Rico, or the government) show. Most people who show up on this evening are adults, college students and professionals. It is the best day if you want to go out, shop, eat and have a drink with friends at local food stands and kiosks. It is not so crowded since people have to work the next day. This is most family friendly day to attend the San Sebastián Festival. A great number of participants are families who get together as a Sunday activity. Sunday is also a good day if you are planning to visit the forts as well or take a tour. Posted in News on January 18, 2017 by Carrie Rhodes.